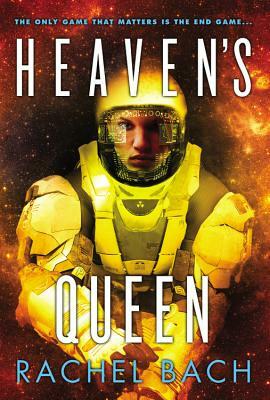 Badass heroine Devi Morris returns for another action-packed space adventure in the thrilling conclusion to Rachel Bach's Paradox trilogy. From the moment she took a job on Captain Caldswell's doomed ship, Devi Morris's life has been one disaster after another: government conspiracies, two alien races out for her blood, an incurable virus that's eating her alive. Now, with the captain missing and everyone-even her own government-determined to hunt her down, things are going from bad to impossible. The sensible plan would be to hide and wait for things to blow over, but Devi's never been one to shy from a fight, and she's getting mighty sick of running. Rachel Bach grew up wanting to be an author and a super villain. Unfortunately, super villainy proved surprisingly difficult to break into, so she stuck to writing and everything worked out great. She currently lives in Athens, GA with her perpetually energic toddler, extremely understanding husband, overflowing library, and obese wiener dog. You can find out more about Rachel and all her books at rachelbach.net. Rachel also writes fantasy under the name Rachel Aaron. Learn more about her first series, The Legend of Eli Monpress, and read sample chapters for yourself at rachelaaron.net!